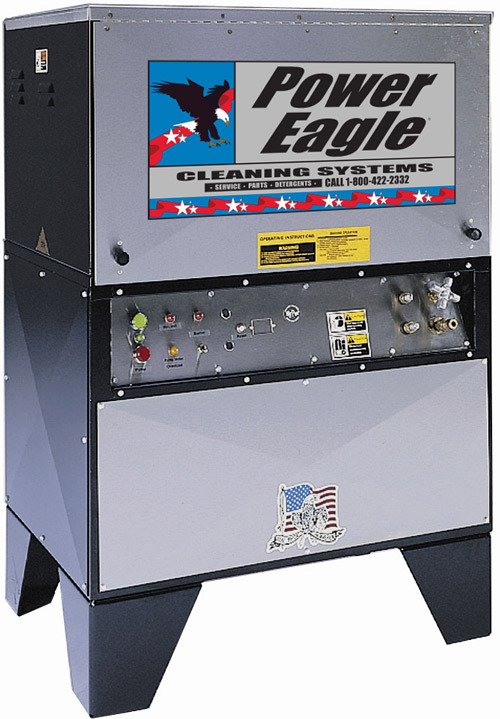 When combustible fuel sources are not an option, electrically heated pressure washers may be chosen. These units produce no exhaust fumes and are very efficient. Some units may be used in explosion proof environments. The SE Series units are revolutionary hot water pressure washers equipped with heavy-duty, removable high pressure heating elements which heat water instantly. Plus, our exclusive system protection devices monitor water flow, water pressure, and water temperature to keep your washer running strong. The SE Series is a revolutionary hot water pressure washer equipped with heavy-duty, removable high pressure heating elements which heat water instantly. Plus, our exclusive system protection devices monitor water flow, water pressure, and water temperature to keep your washer running strong. The SE Series produces no exhaust fumes making it ideal for indoor use. HEAT RISE 110 Deg F. 140 Deg F. 110 Deg F.